India is slowly adapting the culture of cycling. As people have realized the benefits of cycling, they do not consider it as a poor man’s mode of transport. As more and more people are investing in a bicycle, the need for cycling events is on the rise. As as result, many organizers across the country have introduced different formats of bicycle racing to promote the sport. Not only that, people love watching bike racing too. Whether it is in their own neighbourhood or the ones that are very popular across the world. One such race that people die to watch is the Tour de France, which is made up of 21 stages and will cover a total distance of 3,519 kilometres. With big names fighting to tame the mountains, flats and time-trial friends, families and others get together and watch the race progress ‘Live’ through different towns and villages. While this is not possible for us in India, many avid cyclists sit at home and enjoy the live telecast online. 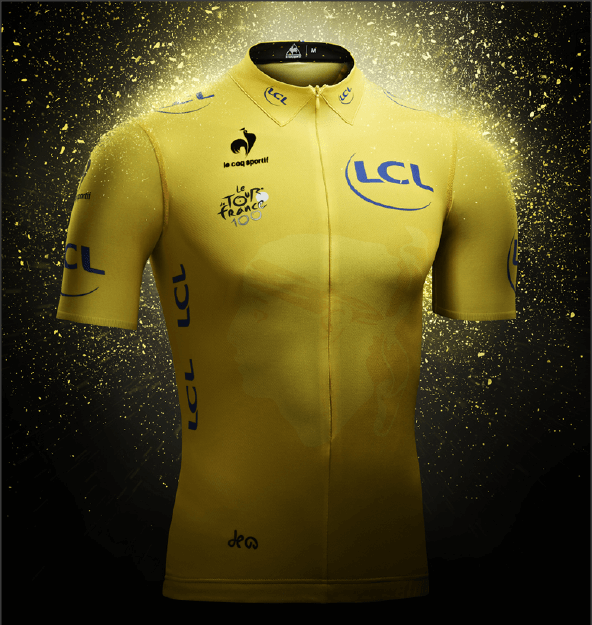 However, there are questions regarding the Tour de France Jersey Colours. Besides the yellow jersey under the limelight, the other jersey colours are not given much importance. Let’s take a look at them and familiarize you instead of wondering what Tour de France Jersey Colours Mean. Formerly known as the “Yellow jersey” which is worn by the leader of Tour de France. This Tour de France Jersey is awarded after each stage or race who is still the overall leader of the race. After every stage, the total time taken to finish that stage is added to the cumulative time of all previous races, and the overall leader is determined. 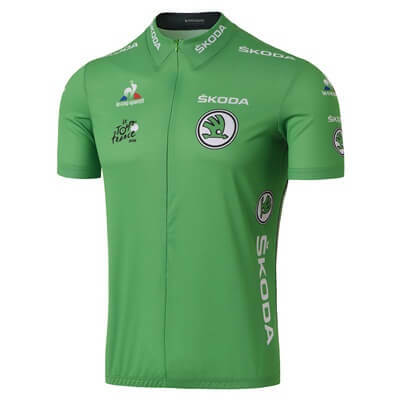 The “Green Jersey”, also known as the sprinter’s jersey is awarded to the first 10-25 riders that cross the finish line after every stage. The number of sprint points awarded depends on the day’s course. A flat course will yield more points than the mountain terrain and in what place the rider finishes that day. Some stages of the tour have mini-sprints within the stage that are worth points. 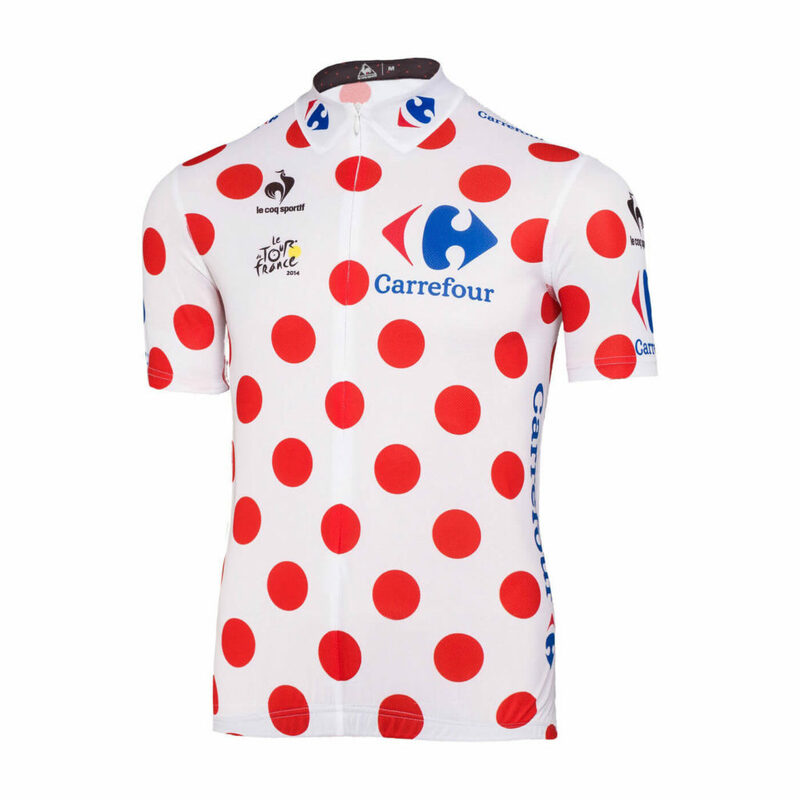 Also known as “the polka dots jersey” is a white jersey with red spots. Also called as the “ King of the Mountains” jersey. The person with the most climbing points at the end of the stage receives the red polka dot jersey. 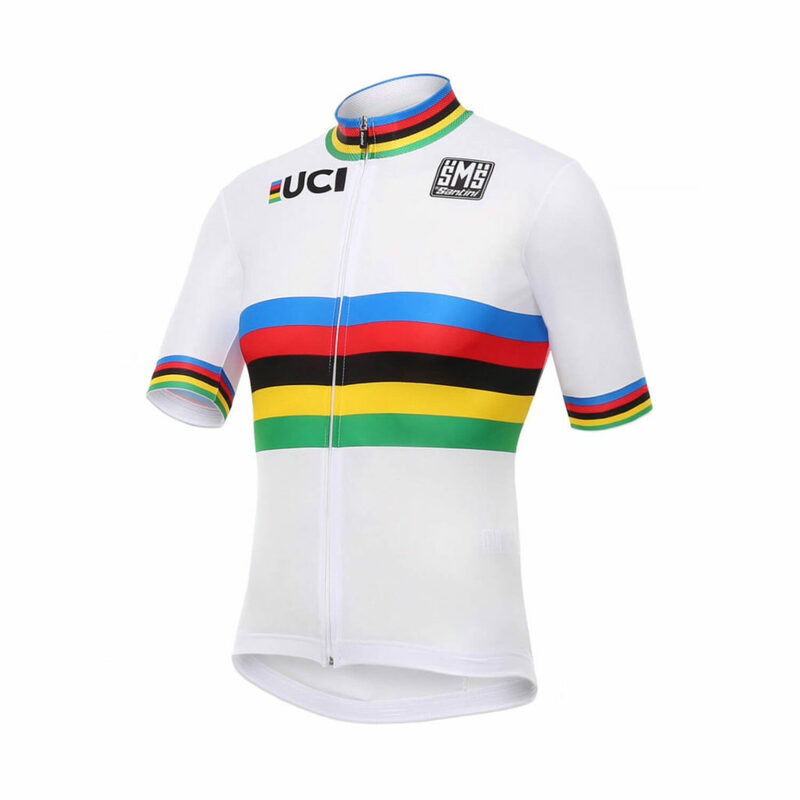 Formerly known as” the white jersey”, is given to the fastest young rider in the competition. The rider should be under 26 years of age and have the fastest overall cumulative time with the other competitors who are below 26. It’s not necessary that the rider should win a stage as the yellow jersey. This jersey is worn by the reigning world champion in a bicycle racing discipline. 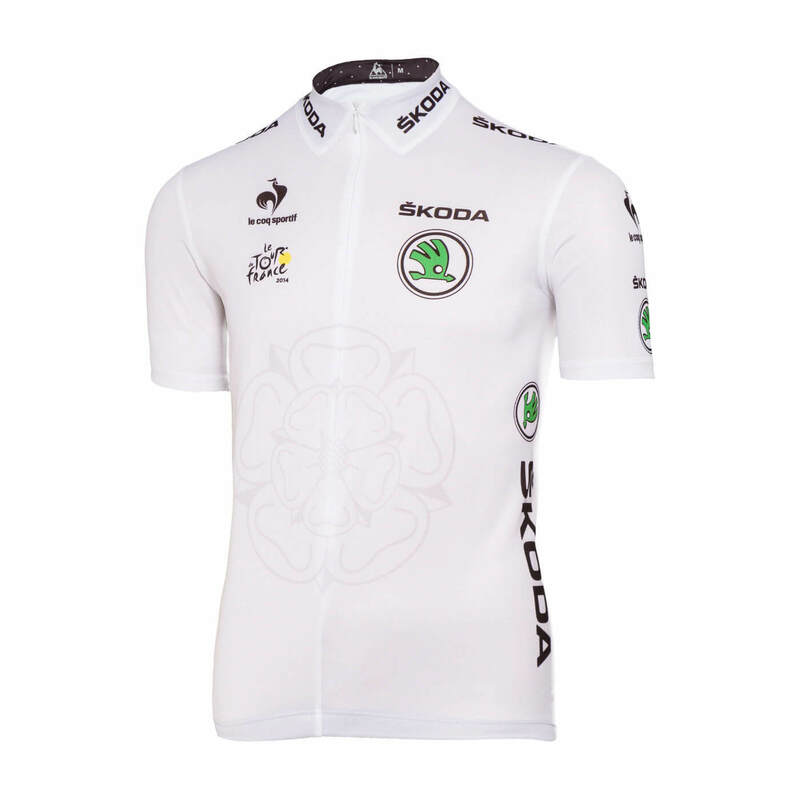 This Tour de France Jersey is mainly white with five parallel bands in the UCI colours around the chest. From the bottom up the colors are green, yellow, black, red and blue; the same colours that appear in the rings on the Olympic flag. Now that you are aware of the Tour de France Jersey Colours and what they mean, do share it with your friends and let them know.